The courthouse with its 100 courtrooms is the largest in the United States. It stands at the corner of West 1st street across from the LA Law Library. The courthouse is an institution that attorney Juan J. Dominguez knows well, although he could never have imagined what this symbol of justice in Los Angeles would mean to him when he arrived in the City of Angels with his parents after they fled Cuba when he was just 10 years old. LA was a very different city back then. There was no Cuban community to support or cushion the family’s transition into life in America. “A lot of immigrants come to the US and tend to congregate in certain communities. We didn’t have that so we were an island unto ourselves,” Dominguez said in a recent interview. Years later, however, the American dream is a hard-won reality for Dominguez, his parents and his five siblings. Dominguez’s father founded a chain of pharmacies in California, and all of his children graduated from college. Today his son, Juan J. Dominquez is a highly successful attorney and the founder, CEO and managing partner of his own law firm, The Dominguez Firm Inc., a Los Angeles-based law practice specializing in personal injury cases. The firm has more than 100 employees and Dominguez is one of the most recognized attorneys in Southern California. 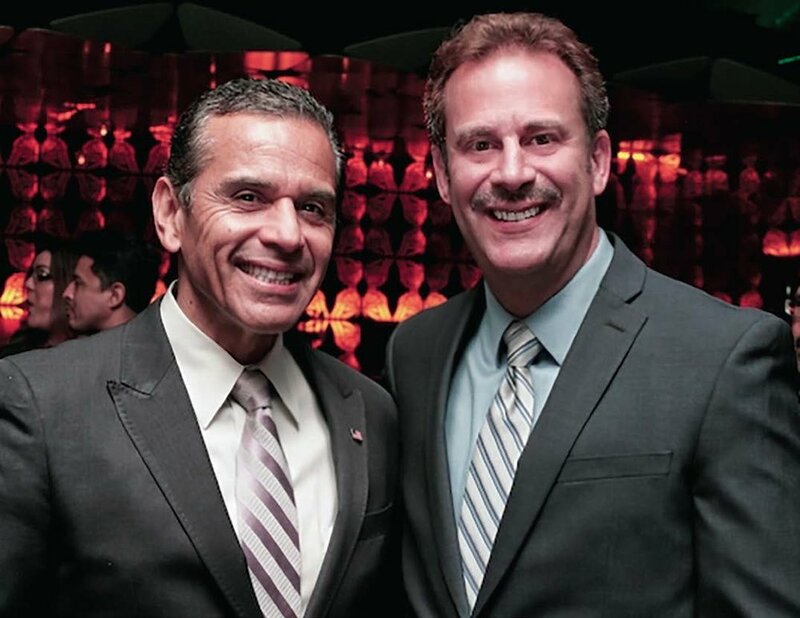 His many awards include a 2015 Latino Business Award from the Los Angeles Business Journal, a 2014 Special Recognition Award from the Mexican-American Bar Association, and 2013 Attorney of the Year from the Hispanic National Bar Association. Dominguez’s leadership and service to the Latino community have earned him numerous recognitions from other local leaders including Los Angeles Mayor Eric Garcetti, Congresswoman Lucille Roybal-Allard, and former Speaker of the California Assembly John A. Perez. Los Angeles Magazine has named Dominguez a “Super Lawyer” for seven years in a row and Pasadena Magazine recognized him as a “Top Attorney” from 2010 through 2016. Defending other immigrant students came naturally to Dominguez, a harbinger perhaps of his future career as an attorney. “I got into fights at school sometimes because I was defending someone else’s rights. I’ve always believed in justice. I have an innate sense of justice,” he said. Dominguez attended junior college to better his English and then California State University, Long Beach, where he earned a Bachelor of Arts Degree in Latin American and Chinese history in 1984. He opened his law practice the same year he graduated from the University of California Hastings College of the Law in 1987. “I was a maverick in that sense, I just graduated and dove into my own law firm. Most of what we do is personal injury, workers’ compensation, and employment law,” Dominquez said. The firm has recovered more than $500 million in verdicts and settlements since it opened. Before entering law school, Dominguez spent several years working at trauma units at the UCLA Medical Center and St. Francis Hospital in Lynwood, where he said he saw firsthand the difficulties and needs of severely injured patients. The experience reinforced his desire to help others. He has also contributed to the Fund for Justice and Education from the American Bar Association. This organization helps individuals who are part of a minority group and wish to pursue a career in law. With every dollar donated, a student is able to meet financial demands that may help them meet financial demands. Dominguez is the father of two children, a boy and a girl. His wife Scarleth is a graduate of Universidad de Ciencias Comerciales in Nicaragua where she obtained her MBA.